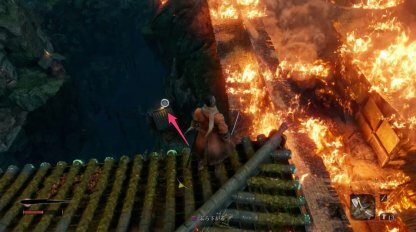 Check out this Sekiro: Shadows Die Twice guide and walkthrough for Bamboo Thicket Slope until Hirata Estate Main Hall. This includes gameplay tips, hints, techniques, tricks & more! Despite having more enemies, this route will give you much more XP & Sen to use. 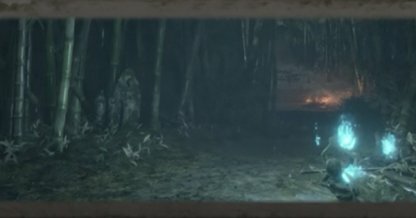 You will also be able to get the Hidden Temple Key from Owl when following this path. 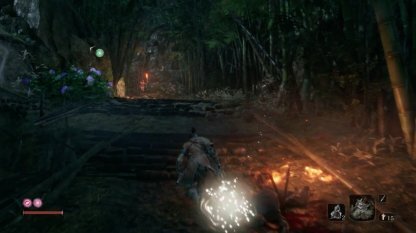 This path will feature a lot of enemies wielding fire arrows. 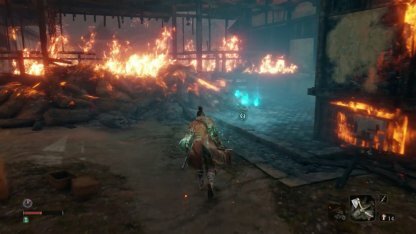 If you have Loaded Shuriken, you can use it to interrupt their attacks and evade them. You can also dodge their shots by running in a zigzag pattern. 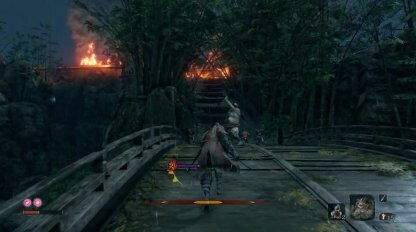 Once on the bridge, you will find multiple enemies blocking your path. Since they move slowly, you can opt to just ignore them and push forward. 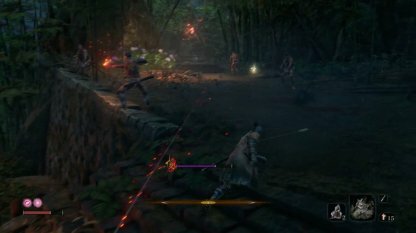 Take into consideration that there may be enemies with fire arrows aiming at you from behind. 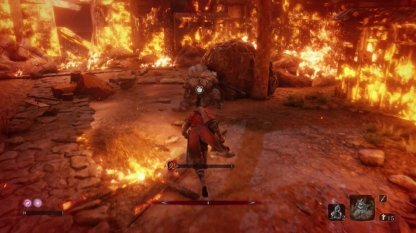 Make sure not to get too close to the fire in the area. This will inflict you with a burn, and deal some damage over time. 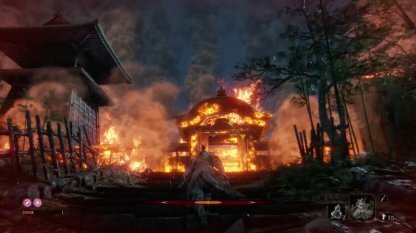 Try to avoid getting too close to the fires. When you talk to Owl, he will give you a key and tell you of a much safer path to get to the Estate Mansion. The tree can be found on the left side of the Owl. 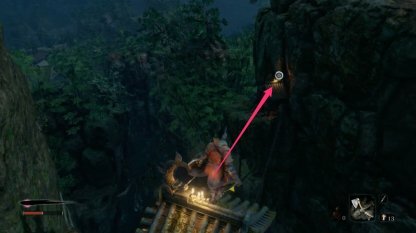 You can use it to get atop the tower, and traverse the cliff towards the alternate route. Use your Grappling Hook to get atop the tower. There will be a roof which you can grapple to after getting to the top of the tower. Look down on the cliff to spot it. The second roof will be on the left side of the first roof you grappled to. The last roof will be on the right side of your current roof. Grapple to it, and you will find a ledge with a small house which you can grapple to. Check Out How To Use Grappling Hook Here! 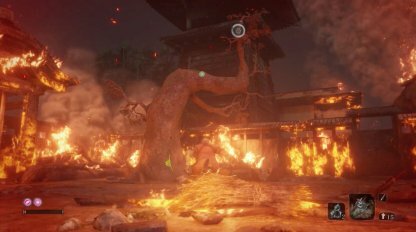 There are a number of enemies in this area. Check your surroundings so you won't get hit on your blind side while engaging enemies. 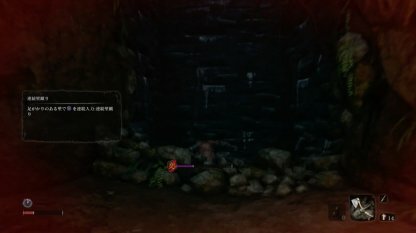 At the end of the cave, you will find yourself in a walled area. The only exit is found above. 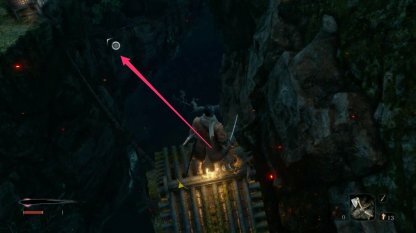 If you use Consecutive Wall Jumps by pressing the "Jump" button against the walls, you will be able to climb up and out of the cave. 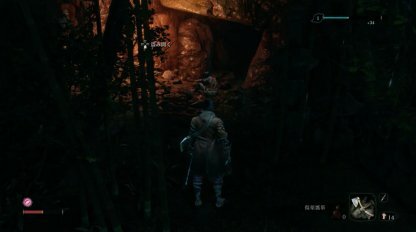 You will know you are on the right path if you pick up an "Oil" item right after exiting the cave. The Sculptor's Idol will just be past the building where you picked up the Oil.